No matter how organized a person is, planning a wedding can be a difficult and time-consuming undertaking. Furthermore, once the planning is complete for the wedding ceremony, a plan must be made for the wedding reception. Consider just a few of the things that are involved in planning a wedding reception. Most couples like to have their wedding reception in a special venue. Some couples want to have the reception in a hotel while others prefer a private room in a restaurant. Regardless of the venue, a couple must talk with the management and reserve the space for a particular day and time. If the venue is a popular one for receptions, then reservations should be made several months in advance so it will be available when needed. The type of food married couples want at their reception varies by personal taste. Couples often choose to include their favorite foods in their celebration. They may adore fish or steak and decide to share these dishes with their guests. Or, some couples keep it simple and serve wedding cake along with a variety of delicious desserts. There are some couples who opt for a sit down dinner at their wedding reception. A couple should consider all of the various options and not choose a particular one just because it is expected of them. An important part of the wedding reception planning process involves transportation. 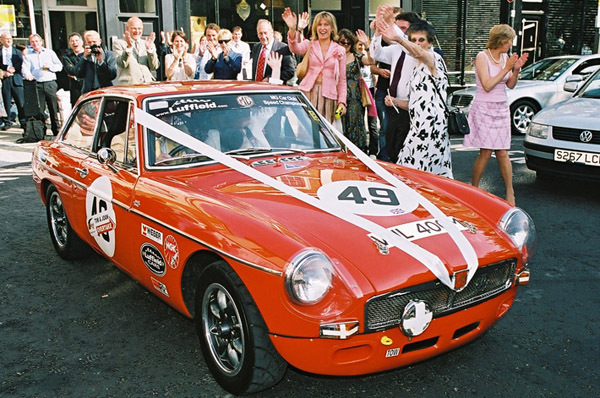 A couple and their wedding party will want to be driven from the church to the reception venue. Some couples arrange to be transported via horse and carriage to the reception. Others choose a private car or a limousine. If you are getting married within the next few months and need transportation to the reception venue it would be a good idea to book yours now. Finally, some married couples want to have live music at their wedding reception. It doesn’t have to be a band unless a couple wants one. It can be a single musician playing the classical guitar in the background to entertain guests. Some couples prefer to have a disc jockey play various favorite songs on CD. This gives guests an opportunity to dance and have some fun as the day draws to a close. Other popular options for receptions include a violin trio, a singer or a saxophonist.